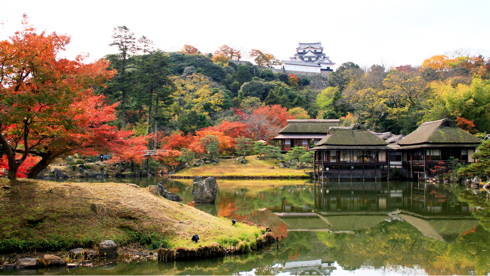 Explore Hikone's unique history, from the famous castle itself to Hikone's lesser known, nature-rich locations. When you arrive at Hikone Station, you'll be greeted by a statue of Ii Naomasa, the samurai general under whose rule Hikone Castle was built. Make your way to the information center inside the station to pick up some multilingual maps and sightseeing pamphlets. This zen temple is located on the side of Mt. 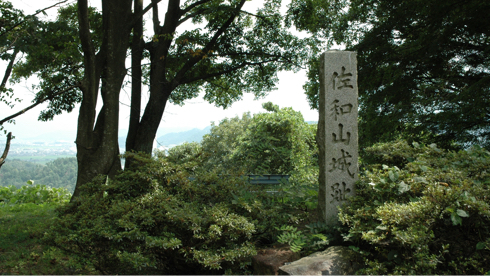 Sawayama, where it is enveloped in tranquil green. 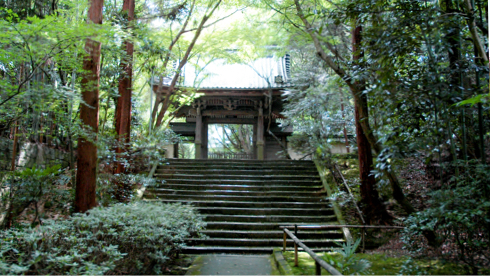 Enjoy the quiet peace of the rock garden, and the beautiful ink paintings on the sliding doors within the temple. This castle was originally built by Sasaki, a leader of Omi Province, and was said to have become an even grander castle with a five-storied keep when it was later passed to Lord Ishida Mitsunari. 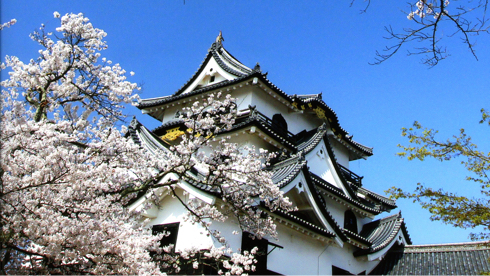 The main event when it comes to visiting Hikone: to the castle itself! 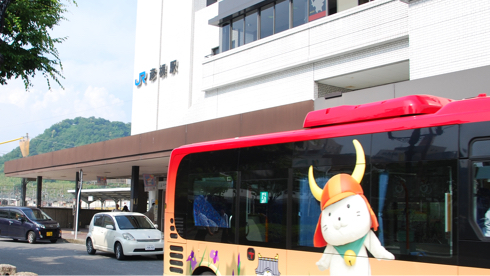 You may even get to meet a special guest: three times a day, at 10:30 a.m, 1:30 p.m, 3:00 p.m, for thirty minutes, Hikone's samurai cat mascot, "Hikonyan" will make an appearance! This historical and picturesque garden is a traditional style featuring a path around a pond. It is located to the northwest of Hikone Castle. The buildings along Yume Kyobashi Castle Road were built with the white plaster walls and black latticework of machiya townhouses, so as to resemble the streets of a traditional Edo Period (1603-1868) castle town. 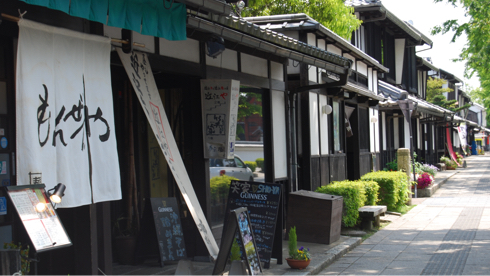 The street is lined with many restaurants and shops selling traditional Japanese sweets and souvenirs. Visitors can also see Soan-ji, the Red Gate Temple.